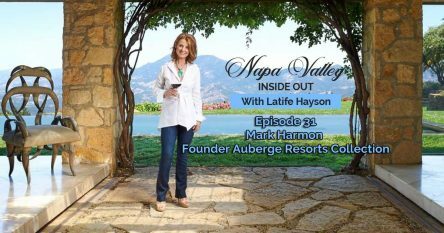 We all know that Napa wineries take great pride in creating a multisensory experience for visitors. The look and feel of the entire vineyard estate, including the interior design of a winery, can be just as important as the color, the aroma, and the flavor of the wine it serves. Take one of my local favorites, HALL Wines, which represents critically acclaimed artisan Napa Valley Cabernet Sauvignon from two Napa Valley tasting rooms and winery locations in both St. Helena and Rutherford. Owned by Craig & Kathryn Hall, its vineyard collection features five Certified Organic estates producing classic Bordeaux varietals. HALL’s highly rated wines include the Napa Valley Cabernet Sauvignon, selected as Wine Spectator’s #18 of the “Top 100” in 2010, the HALL 2008 “Kathryn Hall” Cabernet Sauvignon that earned #2 in Wine Spectator’s “Top 100” Wines, and its 2010 “Exzellenz” earned 100 points by Robert Parker. Collectively, over 140 HALL Wines have been rated 90 points and above. Overall, both properties blend food and wine with design where visitors can appreciate more than just the fine wine. They are invited to enjoy an outstanding contemporary art collection as well, compliments of Craig Hall, an investor, and his wife, Kathryn, a former United States Ambassador to Austria with a family background in winemaking. Besides HALL’s 500 acres of classic Bordeaux varietals, namely Cabernet Sauvignon, Merlot, and Sauvignon Blanc, the Halls have a strong respect for the environment and a commitment to cutting-edge vineyard technology. Through meticulous attention to detail in their vineyards, HALL is able to express the unique and diverse character of Napa Valley’s soils and climate. In other words, HALL Wines really captures the essence of Napa Valley. 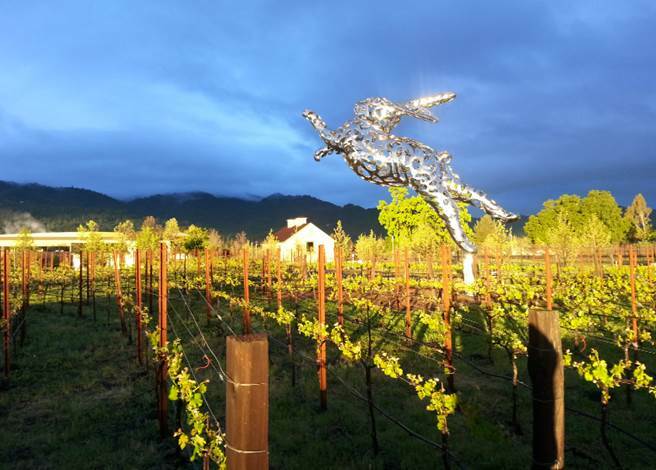 HALL St. Helena is a vibrant, 33-acre property off of Highway 29 just south of our charming town of St. Helena. Guests arrive with an official welcome from (not so little) Bunny Foo-Foo and instantly experience a one of a kind destination. HALL Rutherford is Craig and Kathryn Hall’s stunning winery amid the legendary Sacrashe vineyard. State-of-the-art vision, timeless artisanship and gracious hospitality are showcased in every luxurious detail. Perhaps learning about how HALL Wines captures the essence of Napa Valley has inspired you to consider moving here. 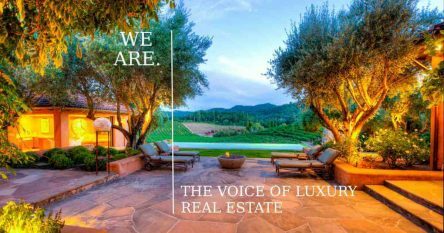 Contact me at 707-738-4820, email [email protected] or keep abreast of listings of private estates, wineries or vineyards in Napa Valley or Sonoma via my website. As a side note, I have access to some extraordinary wineries, vineyards, estates and homes in Napa, Yountville, Saint Helena and Calistoga that are not on the open market, as well as a deep knowledge of some exceptional overlooked on-market offerings. The off market inventory is extraordinary right now and each and every property has spectacular views. Call me and we’ll talk!